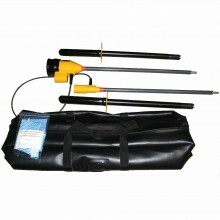 High Voltage Instruments There are 108 products. Cuthbertson Laird Group Ireland can supply a range of high voltage testers from Megger, T&R, HVI, SebaKMT, Seaward, Chauvin Arnoux and Fluke. A range of digital and analogue High Voltage insulation testers - 5kV (5000V), 10kV (10000V) and 15kV (15000V) from AVO / Megger, Chauvin Arnoux, Fluke, Metrel and Kewtech. Every facet of relay testing can be handled with the comprehensive line of relay test equipment from available from Cuthbertson Laird Group Ireland. Cuthbertson Laird Group Ireland stock a range of transformer Oil Test Sets from Megger / Foster, vibration testers from Fluke and transformer turn ratiometer from Megger and Chauvin Arnoux. Test instruments designed for testing insulation systems and the measurement of breakdown voltage on electrical plant and components. Product shown at manufacturers RRP. Click on 'Best Price Quote' button or telephone (Belfast) 02890 830302 for our sale price. The Megger FRAX 150 sweep frequency response analyser (SFRA) detects mechanical and electrical changes of the core and winding assembly of power transformers. Product shown at manufacturers RRP. Click on 'Best Price Quote' button or telephone (Belfast) 02890 830302 for our sale price. 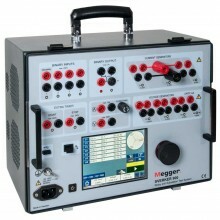 The Megger Sverker 900 is specifically designed for basic, manual threephase secondary testing of protection devices. Product shown at manufacturers RRP. Click on 'Best Price Quote' button or telephone (Belfast) 02890 830302 for our sale price. 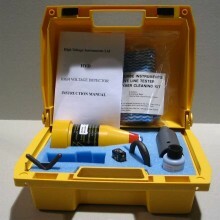 The Megger 70kV High Voltage DC Dielectric Test Set is used to make proof tests and insulation tests on electrical power cables, motors, switchgear, insulators, transformers and capacitors. Product shown at RRP. Telephone (Belfast) 02890 830302 for our sale price. 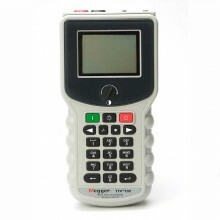 The Single-Phase Handheld Megger TTR100 Test Set is fully automatic, self-checking, self-calibrating, menu driven unit. The Metrohm HVD06 determines whether a hv system is alive or dead. Designed for indoor and outdoor use in all weather conditions. The Metrohm HVD07 determines whether a hv system is alive or dead. Designed for indoor and outdoor use in all weather conditions. 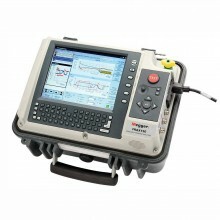 The Metrohm HVD05 determines whether a hv system is alive or dead. Designed for indoor and outdoor use in all weather conditions. 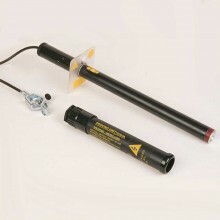 The Metrohm HVD01 determines whether a high voltage system is alive or dead. Designed for indoor and outdoor use in all weather conditions. The Metrohm HVD03 determines whether a hv system is alive or dead. Designed for indoor and outdoor use in all weather conditions. The Metrohm HVD04 determines whether a hv system is alive or dead. 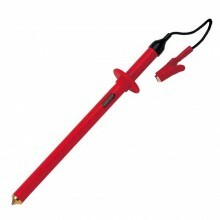 Designed for indoor and outdoor use in all weather conditions. 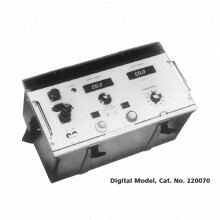 The F0357A indication will start as low as 200V by means of flashing neon lights which will gradually increase their rate of flash until steady state is reached at 6.35KV. Product shown at manufacturers RRP. 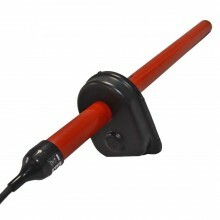 Click on 'Best Price Quote' button or telephone (Belfast) 02890 830302 for our sale price.The Seaward KD1E/KAD is a portable AC/DC neon indicator with audible alarm for use on systems up to 11kV. 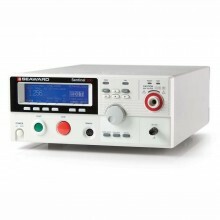 The Metrohm E4510 High Voltage Phase Comparator is a hand held, double pole device used to determine the phase relationship between two energised conductors. Click on 'Best Price Quote' button or 'phone (Belfast) 02890 830302 for our sale price. The Clare Sentinel 200 from Seaward has been built to provide a cost effective, yet powerful solution to hipot testing, whether on a production line or in a laboratory environment for compliance testing.